This Disney Princess centerpiece will put the Fanciful Princess theme in the center of all the birthday party fun! 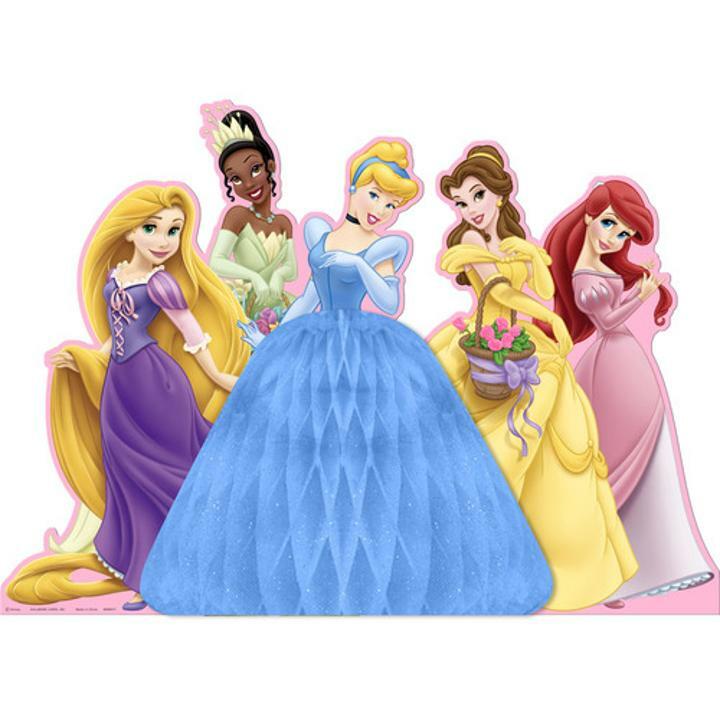 Each package contains one centerpiece featuring 5 princesses and a honeycomb base. 11.5 in. x 22 in. x 11 in.